Distinguished Alumnus Arthur Saarinen passed away on May 18, 2016. He was 88. Saarinen was a friend to the college and a leader in the environmental engineering field. He was known for building marvels of public water works around the world, and for demonstrating and teaching sound ethical principles in both engineering and in business. Like most of his classmates, Saarinen paused in the middle of his college education to serve in WWII. When he returned to UF after the war, he dedicated himself to becoming an environmental engineer ­– before there even was such a thing. At the time, UF and other universities offered degrees in civil engineering, with a focus on sanitation. When it was founded in 1966, Saarinen became an active supporter of – and later an adjunct lecturer in – UF’s Department of Environmental Engineering. “I remember when Neil Armstrong stepped out on the moon, I thought ‘I helped getting him there’,” Saarinen recalled in a 2004 interview for the Matheson museum’s oral history program. He was living in the quickly developing southeast region of Florida at the time, and city and county projects filled his plate and soon grew his reputation to a national level. He became president of the Florida firm Ross Saarinen Bolton & Wilder. Then, after a merger in 1974, he became senior vice president of Camp Dresser & McKee, Inc. – one of the largest environmental engineering firms in the country. He served as president of the Florida Engineering Society, the Florida Water Pollution Control Association and the International Water Environment Federation. Saarinen is remembered by many for being outspoken on water and land use issues. 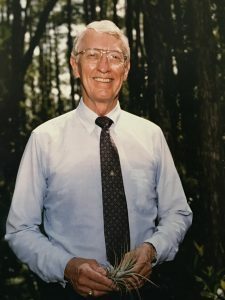 He and his wife donated 78 acres of land in Newberry, Florida for conservation, which is now managed by Alachua Conservation Trust and open to the public.